when people truly connect, time is not of the essence. the bond that tie us can withstand distance, and this distance somehow does not weaken the bond, but rather strengthens the relationship. time, though, is what you seek to reinstate the essence of the bond. due to diverse circumstances and obligations, quite some time had passed since we had been together. so last night at dinner, with my bff, Laurie Jennings, and her husband, my dear friend, josh, i was reminded of the bonds that tie us; the many reasons why we seek the company of those that we connect with. we made a toast to life…appreciating how fortunate we are to have the time to share friendship and love. i seized that moment, and tied a luvMUST Cruciani Bracelet on laurie’s wrist. 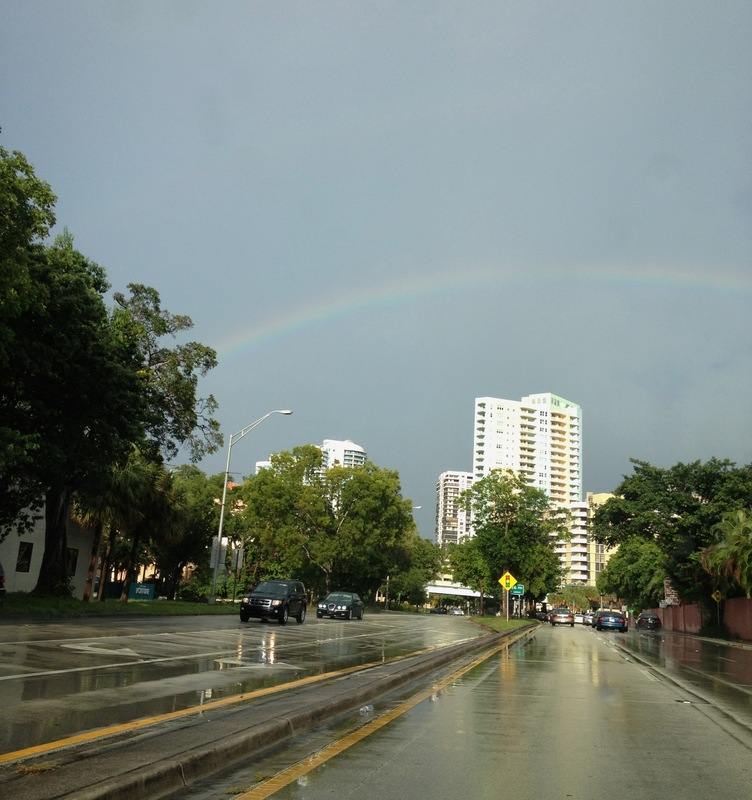 i realized that our evening together, was a summation of what nature augured earlier in the day, when on my way to the market to shop for our dinner provisions, i encountered showers that culminated in a splendorous rainbow. nature speaks and we are reminded of the cycle of life. Laurie Jennings speaks to south florida, reporting with radiant splendor the news, and as that may be, the cycles of life. many cultures see the rainbow as a bridge between heaven and earth. i see all bonds to be divine connections of life that bridge the space between us. the bonds that tie us are for thebestdressup! thebestdressup dresses her bff, laurie, with a Cruciani Bracelet. it is a bond of love that ties Laurie Jennings and thebestdressup. a heavenly connection; legend claims the rainbow to be a bridge between heaven and earth. i see rainbows. rainbows are a heaven sent gift for thebestdressup now! 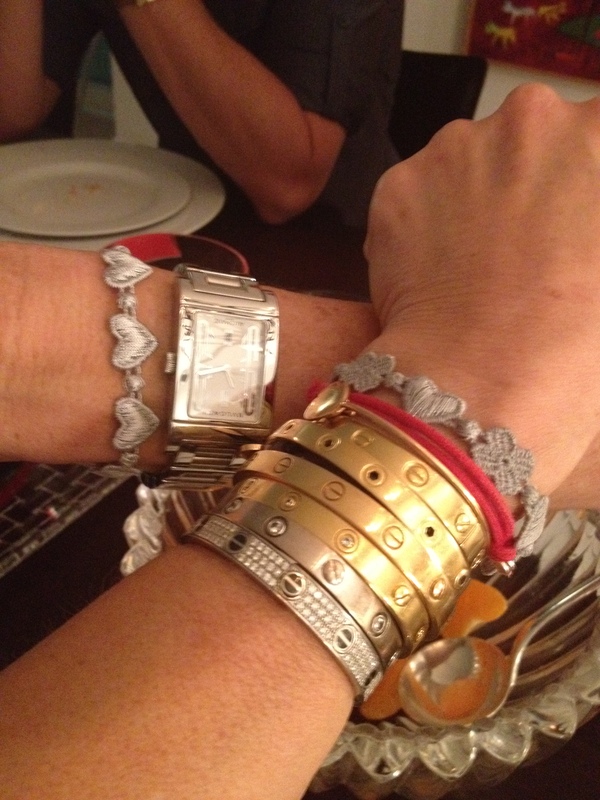 This entry was posted in JEWELRY, luvMUST, PEOPLE and tagged CRUCIANI BRACELETS, LAURIE JENNINGS, SOUTH FLORIDA. Bookmark the permalink. Wow, how beautiful! I truly relate to your story. I too reconnected with friends and family that circumstances kept us distant! It’s been a great year! ciao! thanks for (ad)dressing my blog. your words go to my heart. Quality is really more important than quantity! ciao! i do agree; quality is a luvFIND.